Planning a trip to Kasol anytime soon? This budget hostel will make you want to pack your bags and head up to the hills. 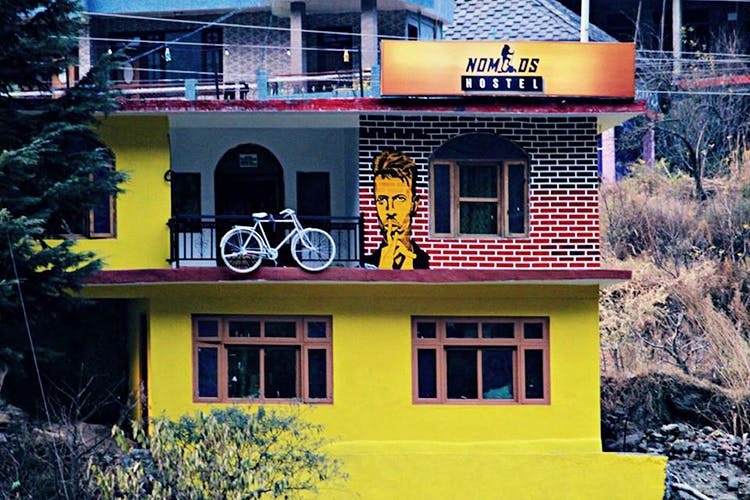 Stay at Nomads hostel for just INR 350 which is located just walking distance from main Kasol. Nomads Hostel Kasol has two 8-bed dorm rooms for both boys and girls. If you’re not completely sold on the idea of living with other people they also have one private room with a shared bathroom and four other private rooms with attached bathrooms. They also have a common space which has games like cards, chess, carrom board, foosball table to keep you entertained. And the best part if that it’s right on the mountainside with a river flowing just below it. Phew, what a view! It’s for anyone who wants to meet new people and travel on a budget. Living in a hostel with other travellers is truly an experience in itself. Expect to see people from different nationalities. They have a terrace cafe that also has barbeques and bonfire nights. Get warm and cosy while meeting people from different backgrounds. My experience was amazing, Kasol always steals my heart and this hostel truly was everything I expected it to be. You get to meet and live with such interesting people. It’s a bit of a walk to main Kasol but it’s completely worth it. They don’t accept cards and the local ATM doesn’t always have money so remember to carry cash at hand before coming.